By Derek J. Paulsen, Ph.D.
205 pages | 37 B/W Illus. The form and layout of a built environment has a significant influence on crime by creating opportunities for it and, in turn, shaping community crime patterns. Effective urban planners and designers will consider crime when making planning and design decisions. 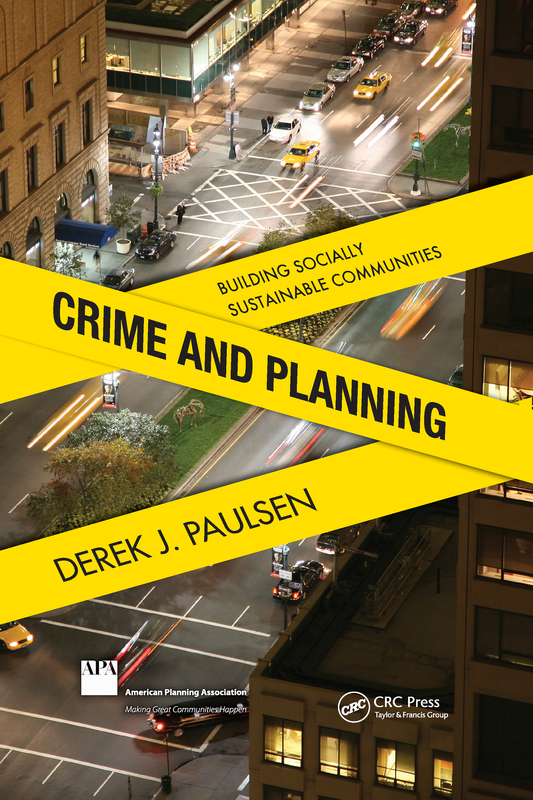 A co-publication with the American Planning Association, Crime and Planning: Building Socially Sustainable Communities presents a comprehensive discussion of the interconnections between urban planning, criminal victimization, and crime prevention. As communities continue to grapple with foreclosure, sprawl, and infill/redevelopment, a sound understanding of how the built environment impacts crime is of increasing importance. This book provides planners with the tools and knowledge necessary to minimize the impact of crime on communities with the goal of creating socially sustainable communities.